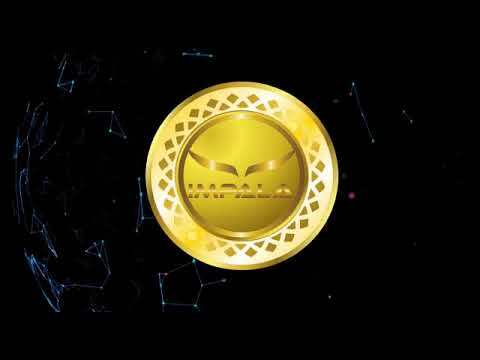 ImpalaCoin is the crypto currency that is powering the Impala crypto bank or Financial network. The crypto bank is a financial inclusive trade and transactional whose primary target is informal paper cash cross border trader, SME international merchant, International supply chain support institutions, e-commerce businesses. The Crypto bank is built on the rails of the stellar blockchain and payments network and the ImpalaPay mobile money processing infrastructure. Our secondary target market is the international remittances, bill payments and revenue collection markets, which we can securely provide end to end straight through processing transactions in over 117 countries. ICN was Incorporated and began to build world's first P2P mobile Cross-border transfer switch. Went live with Bharti Airtel - first transaction of USD 100 sent from Democratic Republic of Congo. Upgraded the switch to a full B2B Hub introducing interoperability between mobile money wallets, Banks and international money providers. First cryptocurrency transfer from Bit-x to Airtel money. Interoperability between MTN and Airtel money completed giving access to more than 150 million mobile wallets. Attained a positive cash flow. API present in 66 countries and 12 partners. Opened offices in Rwanda, Uganda and Mauritius. Registration of office in Hong Kong. Interoperability with UBA Bank, Afrikash app and MAsterCard online merchant. Signed with Liri access to merchant payments to over 23 Asia markets including China. Went live with Vitesse P2P access to Europe & Sepa region. Live with first Global data access to markets in all North America. Signed wuth Telkash Access to Latin America & Australia present in 116 countries. Launched global revenue collection, mobile money, cryptocurrency & bank processing gateway as an alternative to traditional card payments. More than USD 108 billion proccessed through the ICN-hub. Registration of office in U.K. Signed with technical Partners Msewa to build Comet App that will be integrated into the Stellar network. Pilot of the IPL digital bank & ICN in Equatorial Guinea. Pre-ICO launch - Stellar Network. Complete integration to Stellar Blockchain. Acquisition of E-money Issuer Licenses.